Welcome. It’s good here. It’s a clear day in America now that the Mitsubishi Lancer Evolution I is legal to import into the United States under the 25 Year Rule and you can scoop up this very special homologation special right in California. This is, indeed, Mitsubishi’s first Evo and this specific car is supposedly the first legally imported into the United States, as Japanese Nostalgic Car notes. 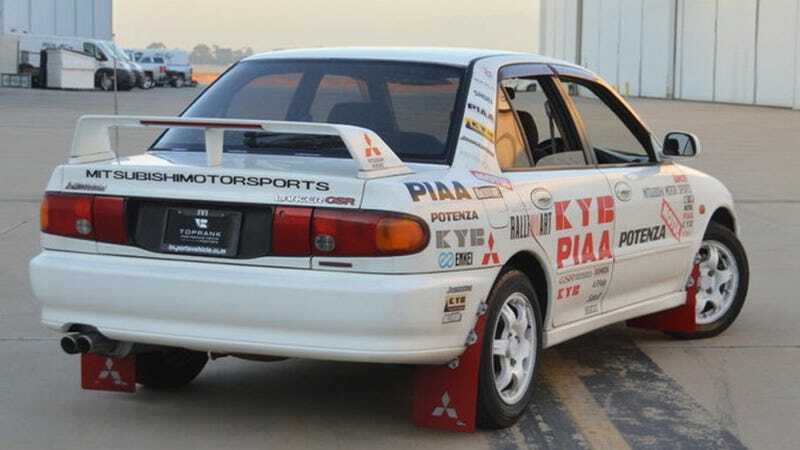 This car, with 134,000 miles and what appears to be no actual racing wear and tear, is for sale on TopRank International Vehicle Importers in Cypress, California with no listed price. The car is called Stickers. Whatever the cost is, it’s worth it.